The future of energy depends on consumer empowerment. Direct Energy places innovative tools into the hands of consumers, enabling them to make smart decisions for their homes and businesses. 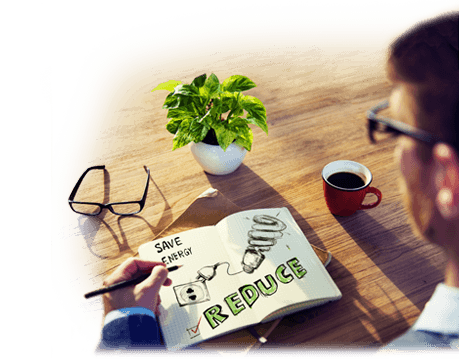 Our everyday innovations include strategic partnerships and proprietary technologies that help guide consumers toward energy efficiency and potential monetary savings. Direct Energy provides accessible, practical tools and resources that are seamlessly incorporated into everyday practices. When you invite Direct Energy into your home or business, we take that privilege to heart. Founded in 2012 by our parent company, Centrica, Hive is a family of beautifully designed smart products and services that enable people to manage and connect with their homes, wherever they are. With Hive, customers can control their homes remotely through a smartphone, tablet or laptop. Created to make smart home technology accessible to everyone, Hive uses leading-edge innovation to develop products and services that are simple to use, effective and make life easier. Direct Energy frequently aligns itself with other innovative companies in order to deliver excellent products and services that bring value to customers. Direct Energy Solar is one of the largest full-service solar installers in the Eastern United States, serving small businesses and homeowners across New England, the Mid-Atlantic states, and Washington, D.C. Direct Energy formed a partnership with SolarCity in 2013 to help businesses achieve their sustainability goals by delivering turn-key solutions that make solar energy attainable. In 2015, Direct Energy acquired Panoramic Power, a leader in device level energy management solutions. Panoramic Power delivers a powerful IoT enterprise solution to organizations across a wide range of industries, helping them reduce energy costs, improve building and facility operations and support sustainability initiatives. Combining innovative wireless and self-powered sensor technology with cloud-based analytics, businesses gain unmatched visibility into facility and asset performance. Direct Your Energy empowers our customers to make informed decisions about their energy use with a personalized suite of energy usage insights in Online Account Manager (OAM). Key tools include a breakdown of energy use by appliance, a proprietary weather algorithm to predict future bills based on past behavior and local weather, and much more (features vary by market). The more you know, the more you can live efficiently . Direct Energy provides educational content destinations addressing a range of home and business-related topics including improvement, maintenance, and safety, to extreme weather preparation, greener living, and creating a modern, smart home.